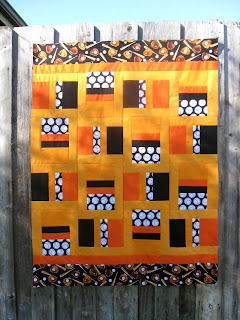 Borders have now been attached to the Orange & Black Quilt and I am off shortly to go purchase backing and binding fabric so I can begin basting this "Little Man". This was the second time I used a quilt pattern from the Simplify book by Camille Roskelley and again, could not be happier. Laundry: I am teaching both my boys how to do their own laundry and without identifying whom, I have to say that one of them has embraced the process without a hitch. Loads the washing machine with the correct amount of clothes, checks back to load the clean clothes into the dryer and folds his clothes in a timely manner. The other son....oh my goodness. The pile of clothes that envelopes his laundry basket is enormous, he loads the washer up with too many clothes and then leaves clothes in the washer. The worst part is the pile of clean but irreversibly wrinkled clothes which litter his bed during the day. At night they all get lumped on his desk. Oh, and get this...he comes out with a horribly wrinkled shirt the other morning and asks if the wrinkles will come out before he leaves for school! Got any suggestions for me? Off to lunch and fabric shopping - hope you all enjoy your day. Good for you for teaching your boys to do their own laundry. That is very high on my list of musts for my boys when they get a little older. Think 5 is too young to start? 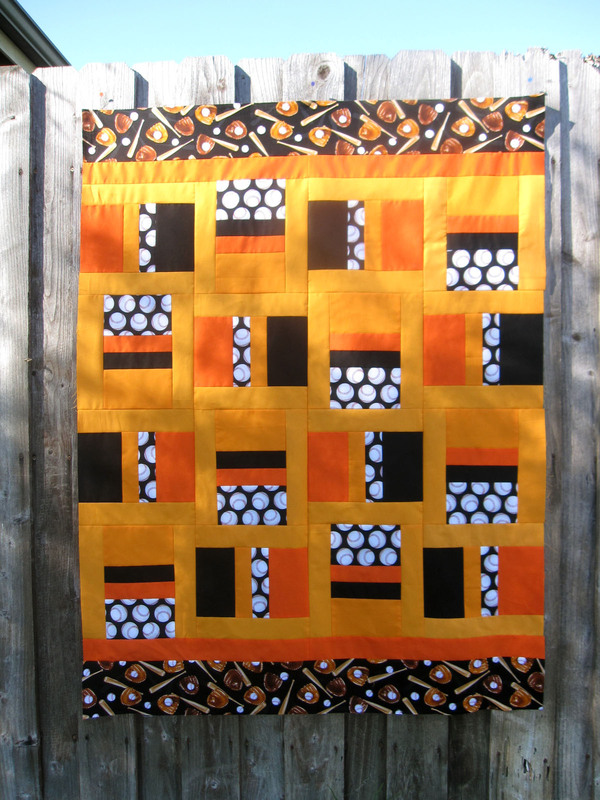 Your nephew's quilt looks great! Have fun shopping! haha. I mean yikes! We were pretty much of the belief "if they can reach the knobs, they can do laundry." Well, maybe not quite, but close. I'd say 'pick your battles' & natural consequences are the best, but it sure is hard to watch sometimes, isn't it?! Meanwhile, your quilt looks great! Love the colors & mix of fabrics! It's a bit of work but we have his tween clean her room once a week. It doesn't stay clean for more than 10 minutes but that way I can pick on all those items. Oh and put clothes away isn't enough…it's put your clothes away away. Then she gets to do fun things. There is lots of sighs and complaining but i'm happy! My boys started doing their own laundry when they were in 6th grade. One son separates his lights from his darks, hangs up everything neatly in order in his closet. The other two live out of laundry baskets. They each have one clean/one dirty pile in their room. They rarely hang up, let alone fold their clothes. Here's how I handle it: I say to myself, if they want to go to school wrinkled, that is their decision. It is not up to me to make sure their clothes are neatly pressed. It is up to them. They are all certainly capable of doing their laundry. They don't do it to my standards, but they aren't washing my clothes, so that's ok. Looking good. I thought you were going to be the first customer today at M&L. No advice. My son is exactly the same. Worse - he loads up his clean clothes back into his laundry basket, and dresses from there. I assume the dirty clothes get thrown on the floor. One day, he'll get tired of looking like a tramp - at least I hope he does! Hahaha! I shouldn't laugh, since I'm the only one who does laundry regularly. However, Son #2 and I have a running bet on how long it will take Son #1 to move the hanging clothes from the doornob into his closet. I lost the last bet, since the clothes were actually put away before Thanksgiving.